IDP Silicon based V-Groove chip assist in producing high performance photonic devices. Made through high-precision etching, the V-groove chip can achieve precise alignment of either ribbonized or individual fibers. The buffer area offers extra strength and rigidity to reduce breakage. Metallized chips can be welded directly with metallization fiber for non-epoxy applications. 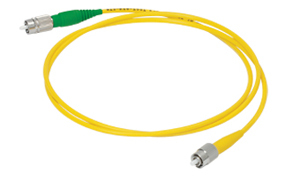 · Compatible with Telcordia standard. · Pigtailing of integrated optical devices. · Connection to planar waveguide devices. · Construction of DWDM multichannel devices. · Connection and feedback for optical sensing devices. · Attachment to an array of active devices. 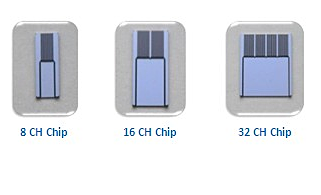 · Connection of MEMS devices.